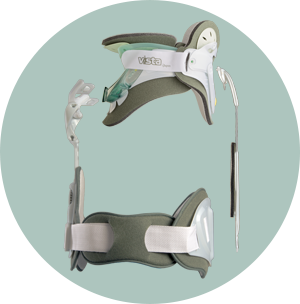 The Vista® CTO4 is designed to provide increased motion restriction in all three planes of motion—flexion/extension, lateral bending, and axial rotation. Even while providing this level of motion restriction, the Vista CTO4 is comfortable for patients, and is padded at all contact points to help ensure compliance. It can easily be stepped down to the Vista CTO and then the Vista MultiPost Collar to support the progression of care. 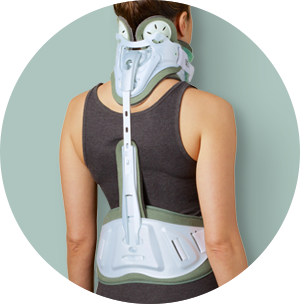 Features adjustable front and back panels for patients who require more control of the cervical spine. 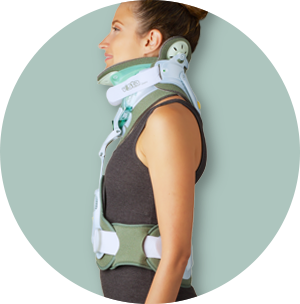 Padded panels pivot bilaterally and self-adjust to cradle virtually all head shapes for increased support and to help maximize comfort. Fully padded at all patient contact points to help maximize comfort, encouraging improved patient compliance. 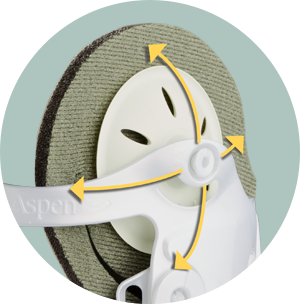 Adjustable low profile back strut designed for maximum patient comfort, even in the supine position.